Everyone needs a smartphone nowadays, and at Tech.co, we’ll help you find the right phone for you. We have in-depth reviews of the latest smartphones, including the Apple iPhone XS, Google Pixel 3 XL, and Samsung Galaxy S9. We cover everything, from how fast they are and how good their cameras are to how long the battery lasts. That’s not all, though – we also cover loads of phones from the bottom end of the market, too. We take a look at the latest offerings from large brands such as LG and Nokia, as well as emerging brands such as Huawei and OnePlus. 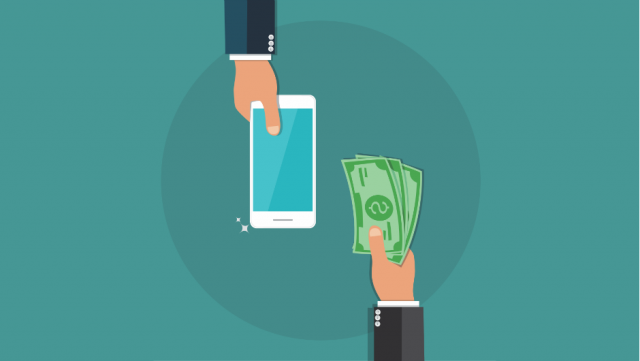 So, whether you’re looking to spend $100 or $1,100 on your next phone, Tech.Co has all the information you need to bag your dream device. Right off the bat, we run down the best phones that you can buy this year. As simple as that. If you’re after a phone, and aren’t restricted by budget, you should get one of these ten contenders. However, it’s not all $1,000 Apple and Samsung phones here – there are some affordable mid-range gems which are well worth a look. 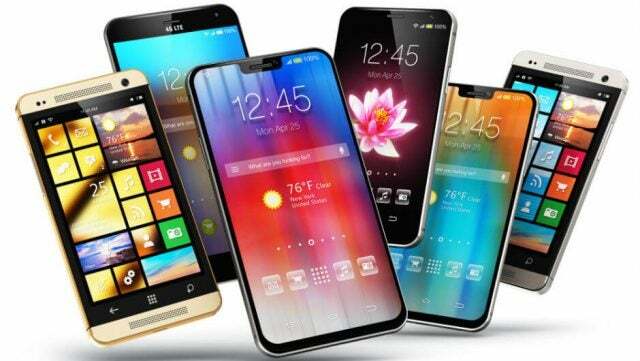 Check out our pick of the very best smartphones you can buy. We've covered everything from top-end Android and iPhone models to brilliant budget smartphones. You don't have to spend big bucks to get a great phone. There are some amazing deals on cheap Android phones, and you can even pick up a cheap deal on an older iPhone model. If you are on a budget, though, we’ve found the best sub-$300 and $500 phones on the market. You’ll find mid-range phones that punch well above their weight, challenging the $1,000 flagship models to justify their prices. You’ll also discover some sub-$300 models which can still wow even the toughest crowd. Still have your heart set on an iPhone? We’ll also show how to get an iPhone at bargain prices. The days of drying your phone in bags of rice after you dropped it in the sink are long gone. There are some fantastic waterproof phones on the market, but finding the best one isn’t as easy as you’d expect, with confusing manufacturer claims and different ratings. We bust the myths on the best waterproof phones that will leave you feeling high and dry. The Best Waterproof Phones You Can Buy. Despite Apple’s claims to the contrary, its phones are famously finickity. We’ll help you resolve the most common iPhone ailments, without having to endure a Genius Bar appointment. Our iPhone troubleshooting tips include what to do when your iPhone won’t update, won’t connect to Wifi, is overheating, won’t charge, or won’t backup to iCloud. See Our Guide to Fixing Common iPhone Problems. We round up the best prepaid and pay monthly deals on every phone in the new Samsung Galaxy S10 range. If you're not sure whether to go prepaid or paid monthly, we'll help you find the right deal for you as well as helping you find your perfect S10 model. We put the Samsung Galaxy S10e head-to-head with Apple's iPhone XR to work out which is the best "budget-premium" phone. We take a look at everything from the cameras to the processor to the screen quality to find out which is the right phone for you. We put the new Samsung Galaxy S10 head-to-head with the iPhone XS to find out which is the best phone. Taking a look at each phone's cameras, performance, battery life, displays, and value to see which is the right phone for you. On paper, Samsung's Galaxy Note 9 looks like a real powerhouse of a smartphone, with a huge screen, powerful processor and even a stylus. But might it be overkill? Read our full Samsung Note 9 review to find out. 5G Phones: When Can You Buy One? We've been promised 5G phones for years, and the improved network is finally on the way. Learn everything you need to know about which brands will be launching the networks and when, so you can be the first to test it out. We review the Google Pixel 3 XL to find out whether it can justify its $899 pricetag. We take a look at its cameras, design, overall performance, features and compare it with its main competitors to see if it's the best Android phone on sale. Is the Samsung Galaxy S9 the best Android phone on the market? Can it match up to the new Google Pixel 3 and the iPhone XS? Read our full review to find out all that and more, including: The battery life, performance and features. If you’re in the market for a new phone, you’d be hard-pressed to find one from another manufacturer that is truly better than the new iPhone XS. It's not cheap, costing $1,000. We explain if you should get the iPhone XS, or whether the XS Max or iPhone XR are better choices. Want to get a great phone without spending a fortune? We run down the best cheap phones you can get your hands on at the moment, including: The best cheap Android phones, the best cheap iPhones and refurbished iPhones. Is the new iPhone XS the best phone on the market, or is the Samsung Galaxy S9 - nearly a year old, don't forget - still the phone to beat? We take a look at the key features, performance and design to find out. Plus, can the iPhone XS justify its $1,000 price tag? We tell you how to troubleshoot and fix the most common iPhone problems including: Screen freezing, battery life problems, forgotten passcodes, touchscreen not responding, overheating, iCloud problems and much more. Read on for our simple tips on how to fix a faulty iPhone. We tell you the reasons why your iPhone or Android phone might be running slowly, and the different ways to make it run faster from clearing your cache, deleting apps, and updating the operating system. Read on for our simple tips for giving a sluggish phone a speed boost. The newest and most expensive iPhone might not be right for everyone. We'll be separate the fact from the fiction to help you find the iPhone that is right for you. We also compare the newest iPhones and find out whether you can get a used iPhone for a bargain price. Once you break down the key features of the major smartphones, it’s easy to work out which ones are the best for you, and which ones offer the best value. We explain what you really need to know about iOS vs Android, plus demystify key specs to help you choose a phone in 2019. We round up the best phones you can buy in 2019, whether you're after the latest iPhone or an Android device that puts Apple in the shade. See phones from Samsung, Apple, Huawei and more to find the perfect phone for you. We also explain the main smartphone features to look for. The best waterproof phones will be safe from accidental splashes or taking a swim. But waterproof and water-resistant phones aren't the same, as our guide explains. Read on for our definitive list of the best waterproof phones that will survive a spill or a dive in the water.